What if? the only what if question that matters to me is… what if I decided to follow my Lord Jesus sooner. But that was then and this is now, He has blessed me beyond measure. I wouldn’t want to change anything except having more faith, hope and love. And causing less hurt and pain. I can do nothing on my own. I judge as God tells me. 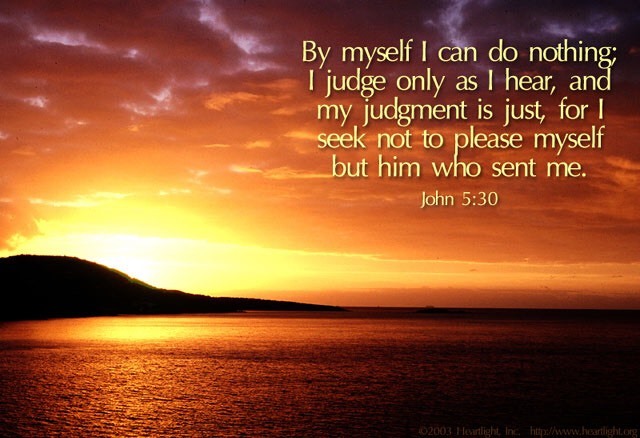 Therefore, my judgment is just, because I carry out the will of the one who sent me, not my own will. This entry was posted on August 3, 2018 at 7:21 am and is filed under One Walk. You can follow any responses to this entry through the RSS 2.0 feed. You can leave a response, or trackback from your own site.